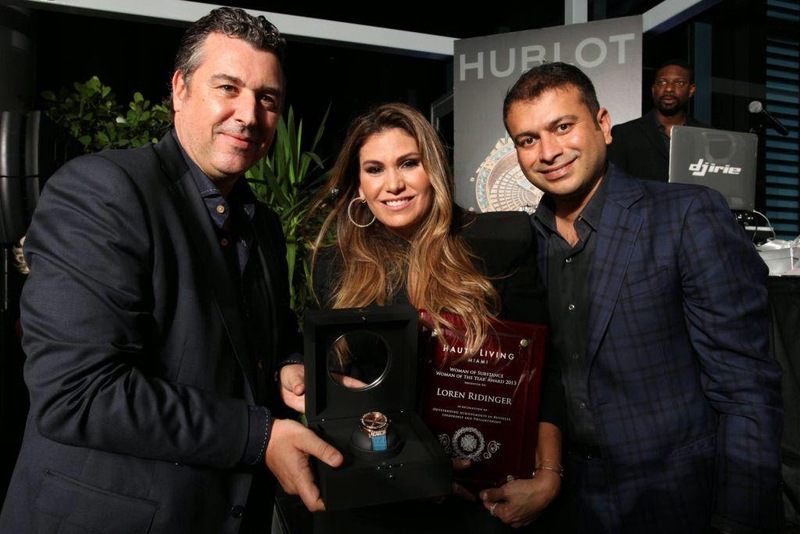 Hublot celebrated the unveiling of its new, limited edition Big Bang Caviar “Lady 305” timepiece collection on November 20 at Zuma restaurant at the EPIC Hotel in downtown Miami. The unveiling and launch party featured a cocktail hour, a seated dinner prepared by Zuma’s famed chef, Michael Lewis, an award presentation by Haute Living magazine to beauty mogul and icon, Loren Ridinger, an official timepiece unveiling, free-flowing Dom Perignon champagne and an after party upon Ridinger private yacht, Utopia II, for the star-studded list of attendees. 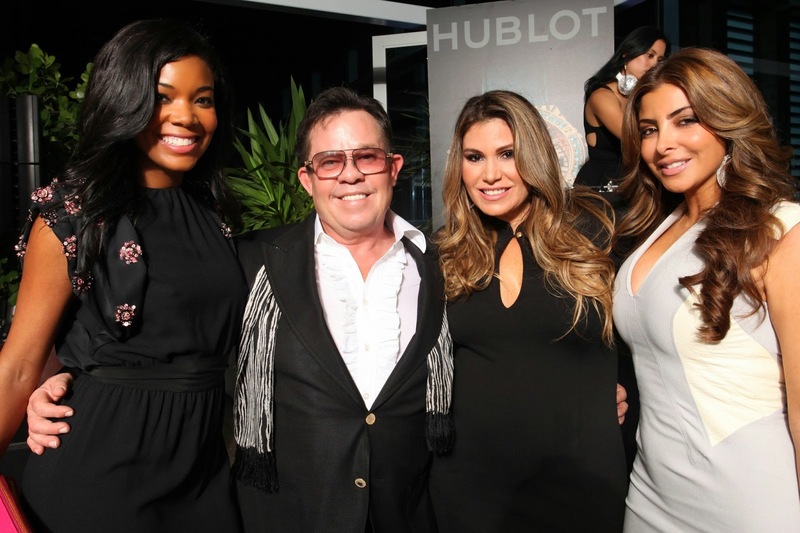 The introduction and unveiling of Hublot’s “Lady 305” was experienced by Miami’s top influencers and tastemakers, celebrities and special Hublot clients, including: Jean-Francois Sberro, CFO with Hublot, Gabrielle Union, Nikki and Mike Simkins, Michelle and Jason Rubell, Shannon Allen, wife of Miami Heat’s Ray Allen, Jenine Howard, wife of Miami Heat’s Juwan Howard, Michelle and Tommy Pooch, Kamal Hotchandani, Adrienne Bosh, wife of Miami Heat’s Chris Bosh, Mary and Cliff Floyd, Larsa Pippen, The Real Housewives of Miami, Christy and David Martin, Antonio Misuraca, Martin Fuentes, Jacky Bracamontes, and more. 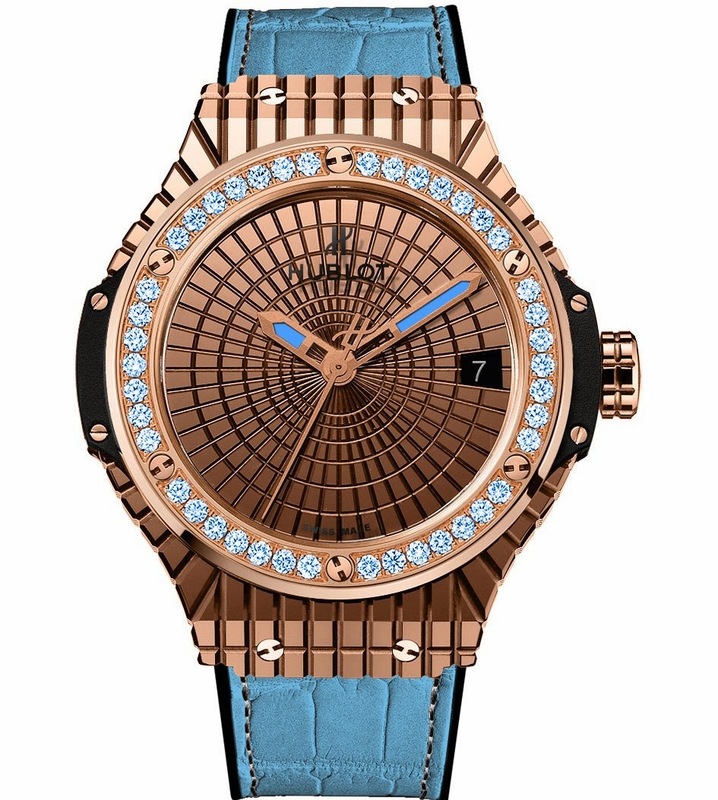 Based on the unique, iconic design of Hublot’s famous one million dollar Black Caviar, and directly inspired by the black ceramic Big Bang Black Caviar timepiece, which has been one of the brand’s bestsellers since 2011, these two watches, sport a sleek, graphic look with sharp angles and reliefs designed, cut, beveled and polished like their big sister’s black baguette diamonds. 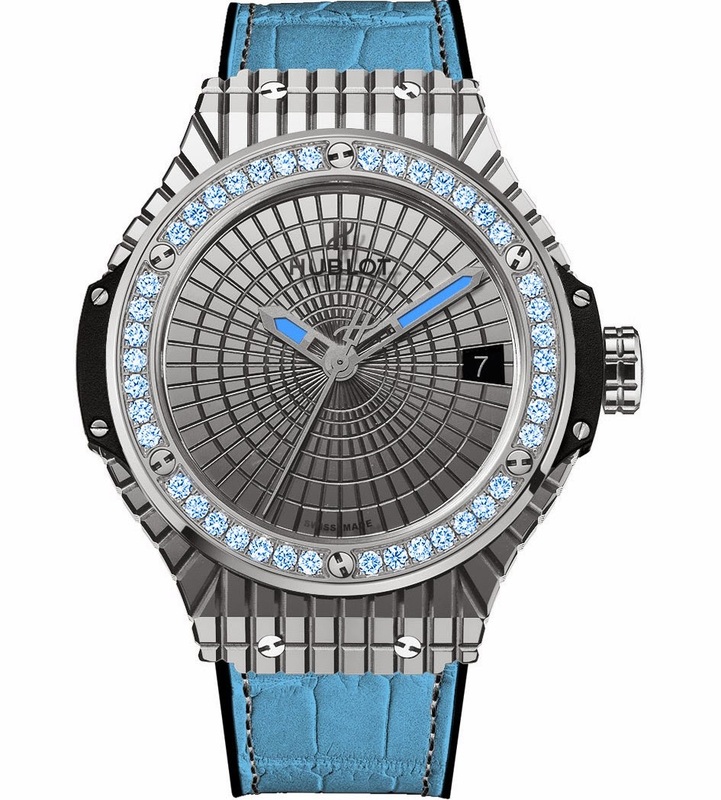 The ocean blue of the Big Bang Caviar “Lady 305” timepiece evokes the sand, sun and sea of South Florida. 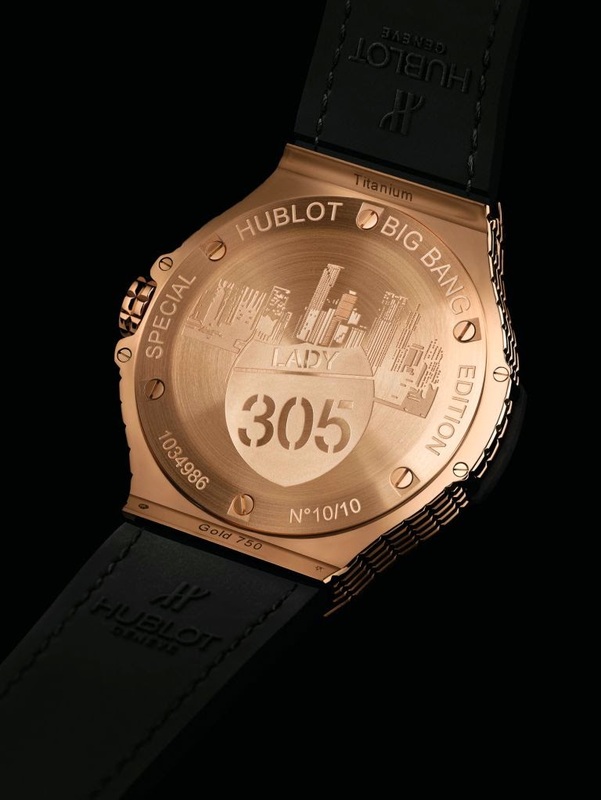 The 41 mm-diameter watch features a bezel set with 36 topazes, and it’s solid case-back is engraved with a view of Miami’s South Beach with the famous “305” area code. The strap of blue alligator sewn onto black rubber completes the watch, providing exceptional comfort, flexibility and resistance. The two timepieces that comprise this limited series are exclusively available at the Hublot Bal Harbour Boutique, in Miami. Hublot opened its first U.S. store in Bal Harbour, FL, in September 2010 and has since partnered with a variety of celebrities, charities and sports teams, including the Official Watch of the Champions Miami Heat and their captain, Hublot Brand ambassador, Dwyane Wade.